Dinosaur Comics - October 11th, 2007 - awesome fun times! October 11th, 2007: Ontarians! You should be out voting today. 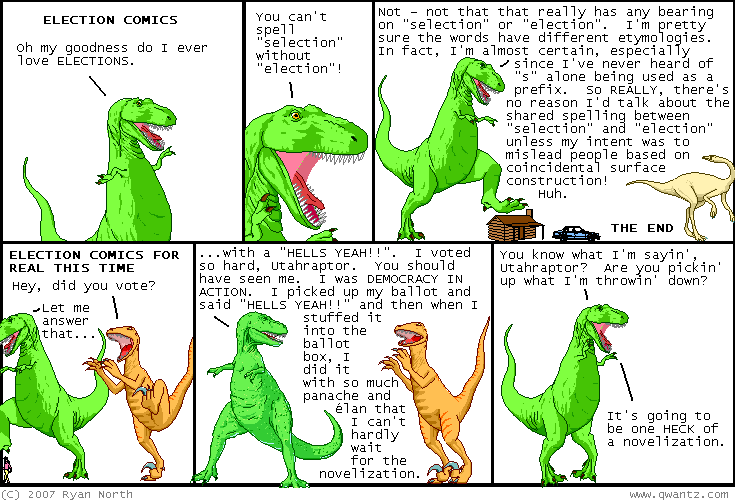 If you're not going to vote today then you're not allowed to read my comic anymore. THAT'S RIGHT I SAID IT. Check out the rad stuff people sent me! Benjamin made an actual 2 foot x 3 foot poster out of yesterday's final comic. TOTALLY SWEET. 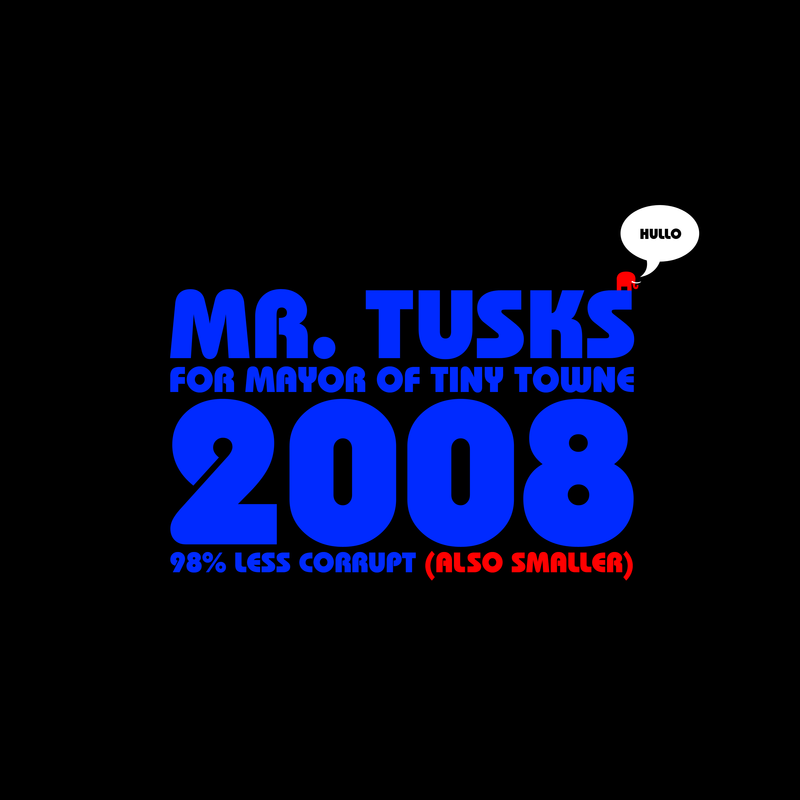 And Jeremy sent me this Mr. Tusks campaign poster, which is giant, unlike Mr Tusks. 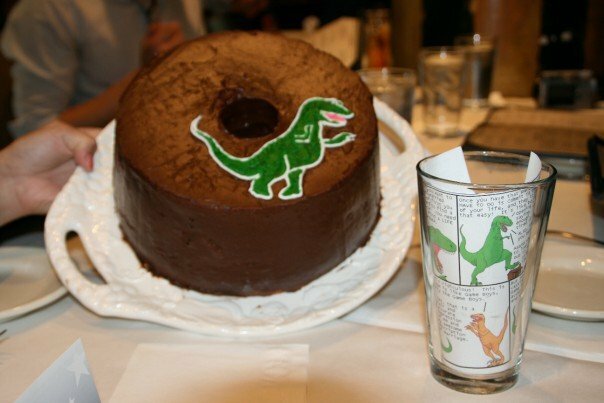 I also share with you Cory's delicious T-Rex cake. 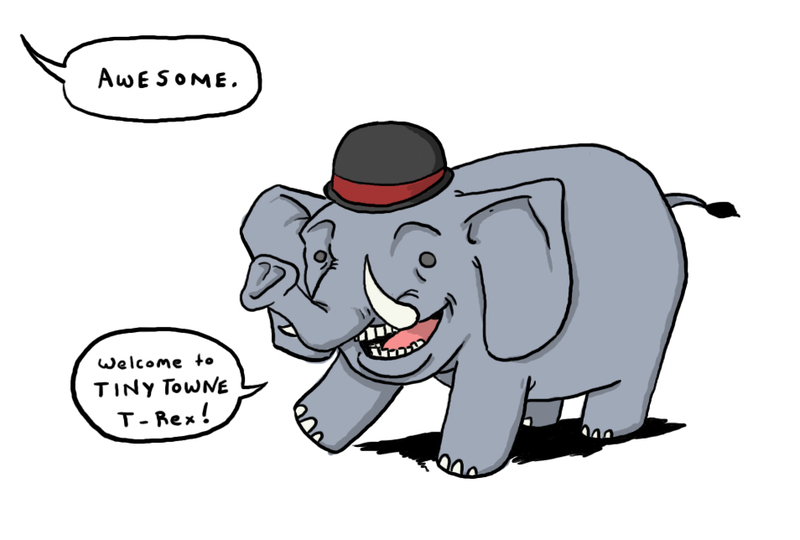 And finally, here's an adorable rendering of Mr. Tusks by Nick! One year ago today: LESBIANS AND DUDES, together at last? ?